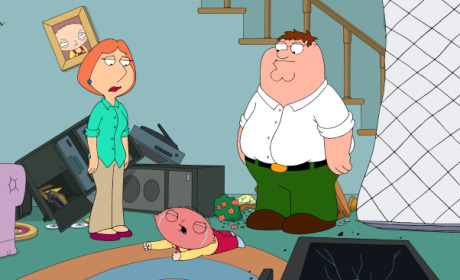 Carter Pewterschmidt, Lois' father comes to visit and has an accident on the Family Guy episode, "Regarding Carter." 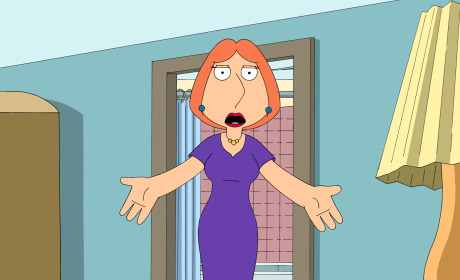 Lois' allergies force Stewie and Brian to share a bedroom but they do not coexist well on Family Guy. 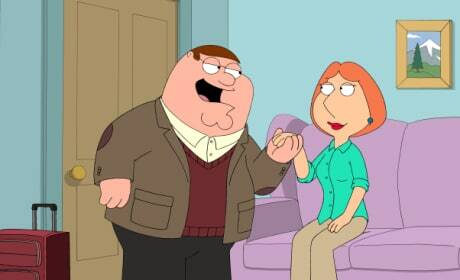 Peter and Lois choose not to vaccinate Stewie and encourage others to do the same on Family Guy. 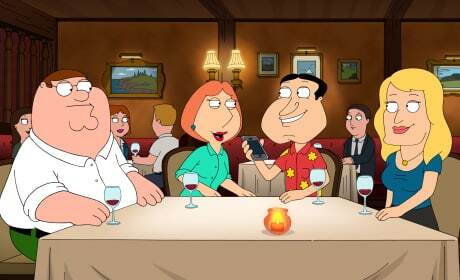 Peter gets a new phone after he breaks his but when he gives his old one to Chris, it has unexpected consequences on Family Guy. 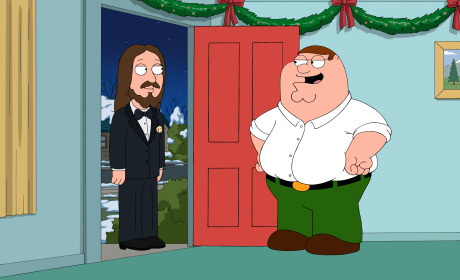 Lois makes a reluctant Peter buy a new matress for their bedroom on Family Guy "Guy Robot"
Peter wants to throw Jesus a birthday party on Family Guy, "The 2000 Year Old Virgin"
Peter comes up with a new way of scaring up customers on Family Guy. 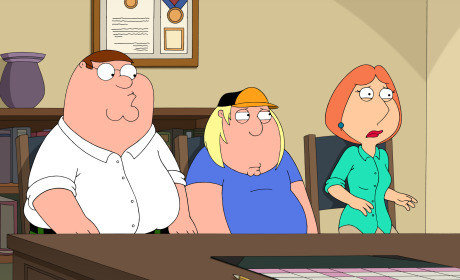 "Baking Bad" is the third episode of the show's 13th season. 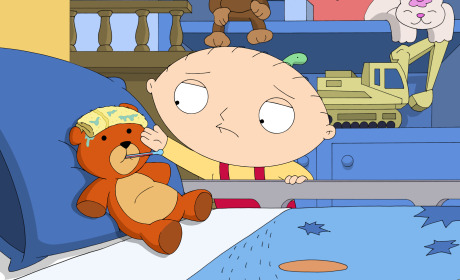 Stewie is upset when his TV time is interupted on the season finale of Family Guy. 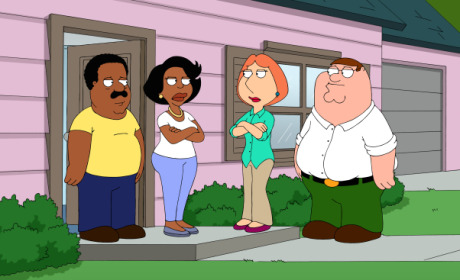 When their wives argue, Cleveland and Peter find it difficult to hang out on Family Guy. 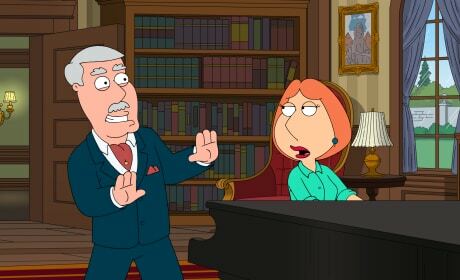 "He's Bla-ack!" 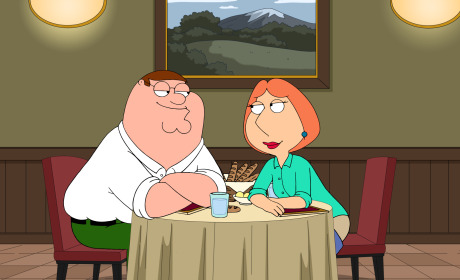 is the 20th episode of the show's 12th season. 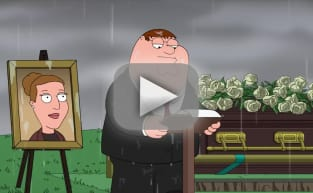 Peter returns from a business trip and appears to have become a responsible man on Family Guy.